LEVEL UP AND TAKE ON THE WORLD WITH OK K.O.! Let’s Be Heroes: T.K.O. Revisit the action-packed adventures of the Cartoon Network series when OK K.O.! Let’s Be Heroes: T.K.O. arrives on DVD July 17. Created by Ian Jones-Quartey, the high-octane series follows K.O. as he takes on the villains of Lakewood Plaza while training to become one of the world’s greatest heroes. Superfans can jump into all the action with the volume one DVD that includes 18 episodes and a 22-minute special, all from the first season. OK K.O.! Let’s Be Heroes: T.K.O. will retail for $14.97. OK K.O.! Let’s Be Heroes follows K.O., a cheerfully eager young boy who wants nothing more than to become the world’s greatest hero while following in his mother’s footsteps. 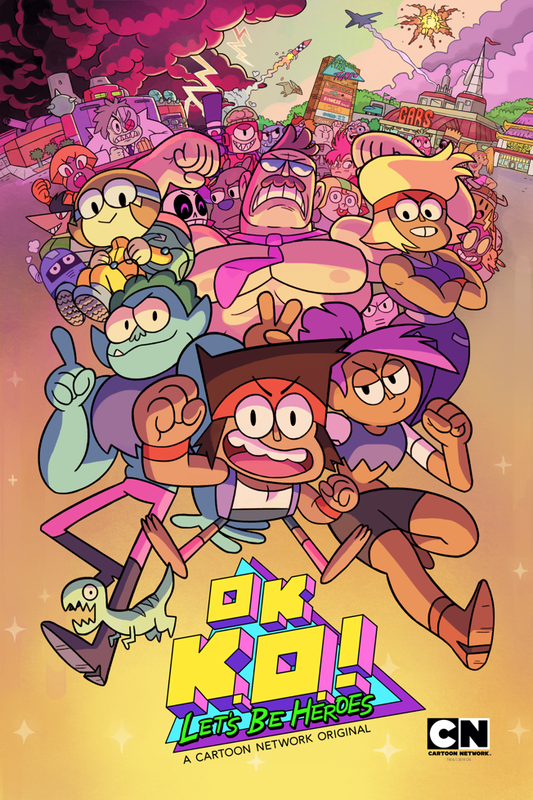 Set in a futuristic world full of robots and aliens, K.O. works at Gar’s Bodega, a hero supply store located in Lakewood Plaza, alongside his friends Radicles and Enid. Whether he’s mopping the floor with evil robots or literally mopping the floor, K.O. is set to take on the world while proving every success or failure to be just another stepping stone to becoming the ultimate hero. OK K.O.! Let’s Be Heroes’ series premiere was Cartoon Network’s highest-rated 2017 telecast for a Cartoon Network original series among kids 6-11 and has proven to be the perfect hero training ground with the release of OK K.O.! Let’s Play Heroes, a video game that allows players to take on the role of K.O. and set out on a story-driven adventure to return powers to every hero in Lakewood Plaza. OK K.O.! Let’s Be Heroes: T.K.O.